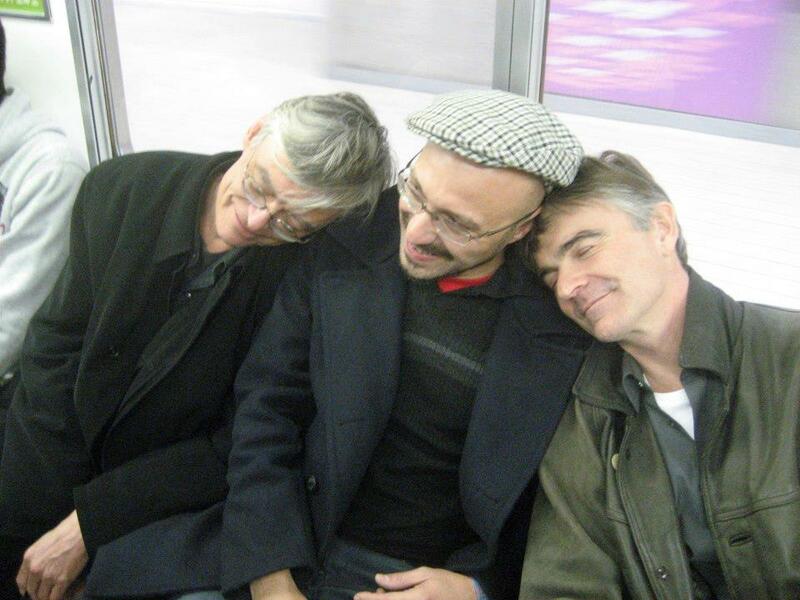 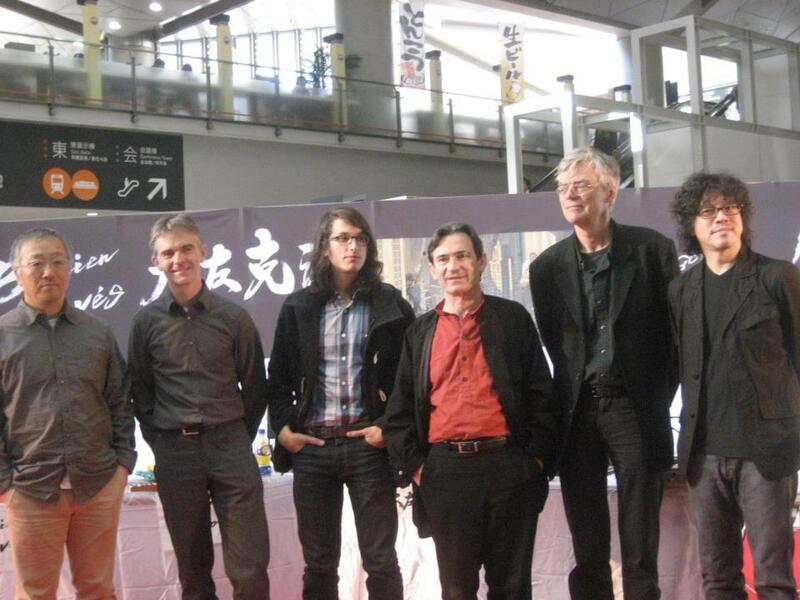 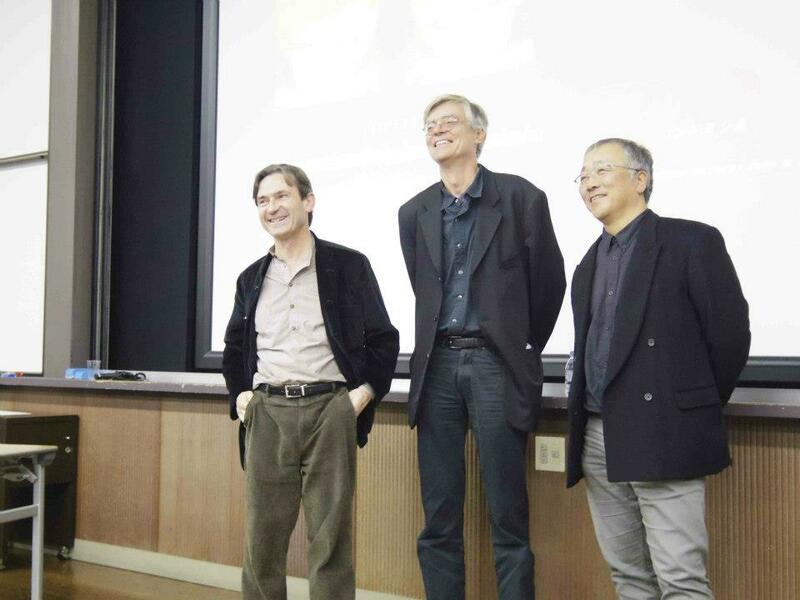 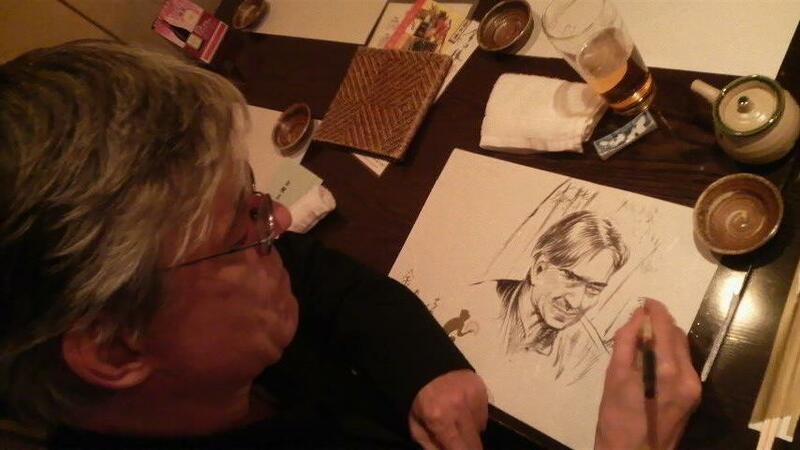 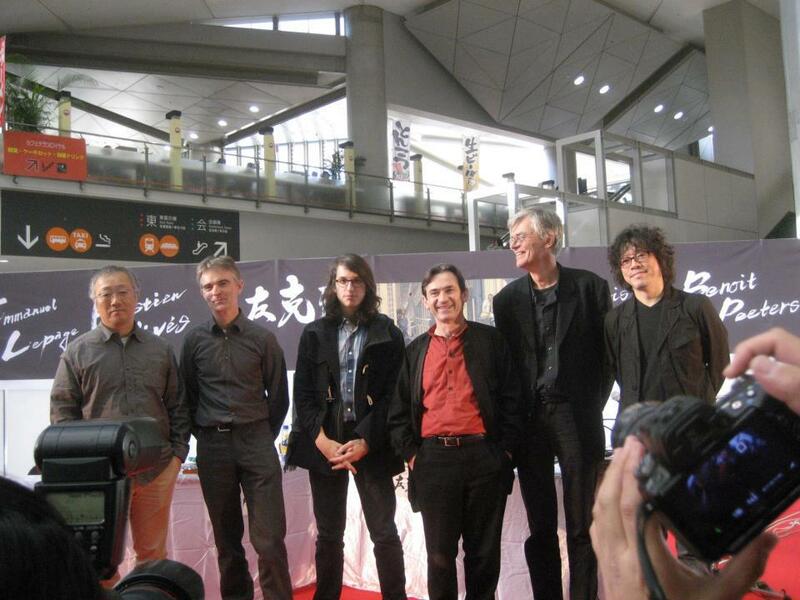 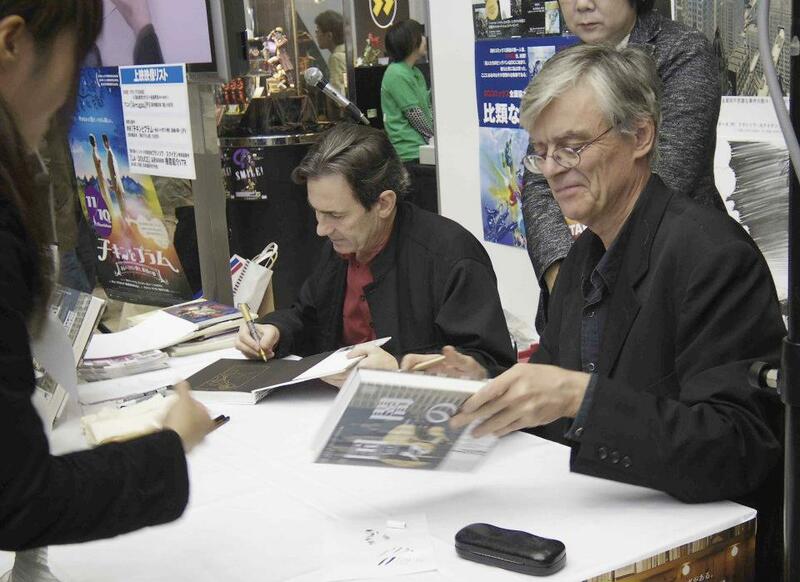 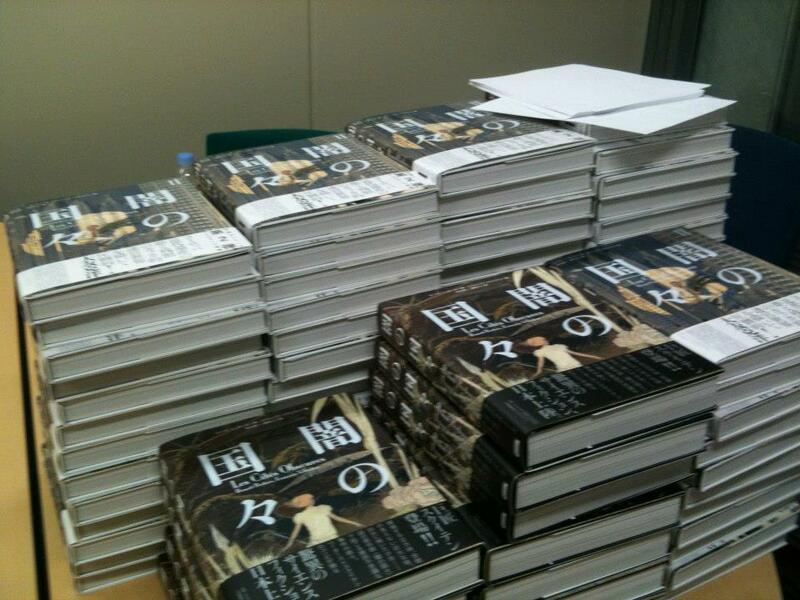 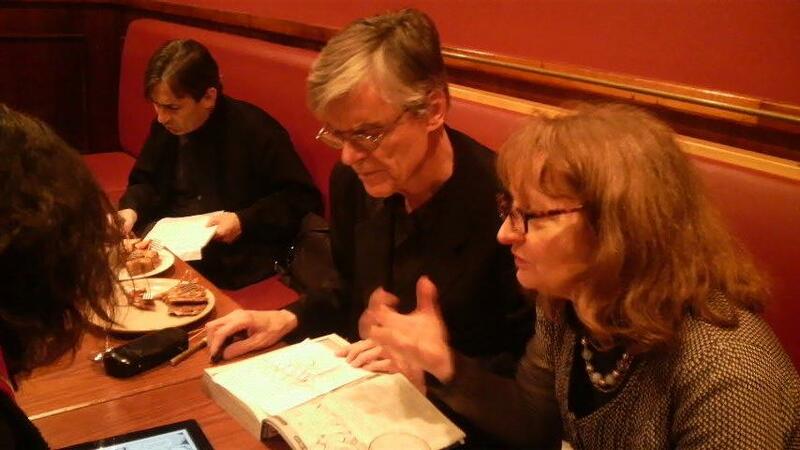 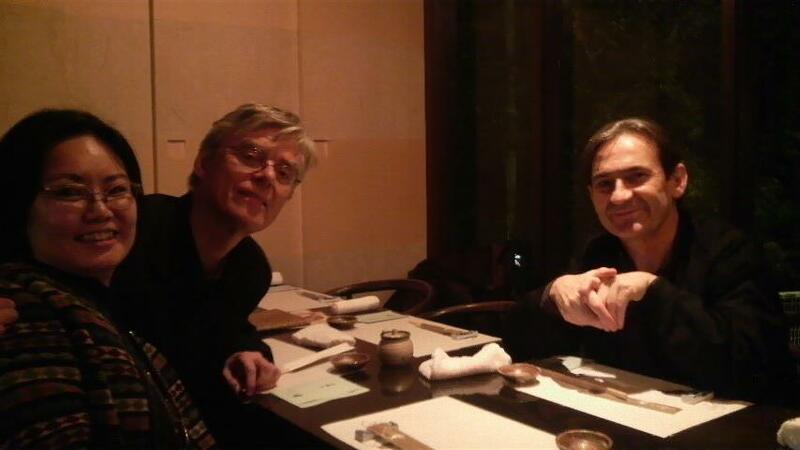 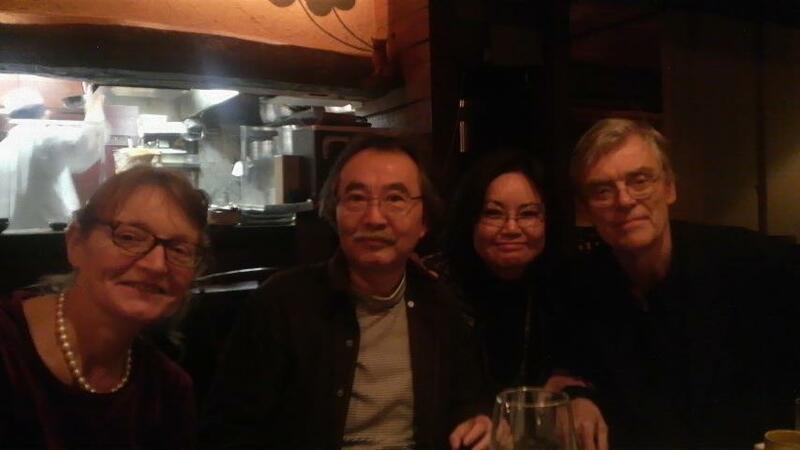 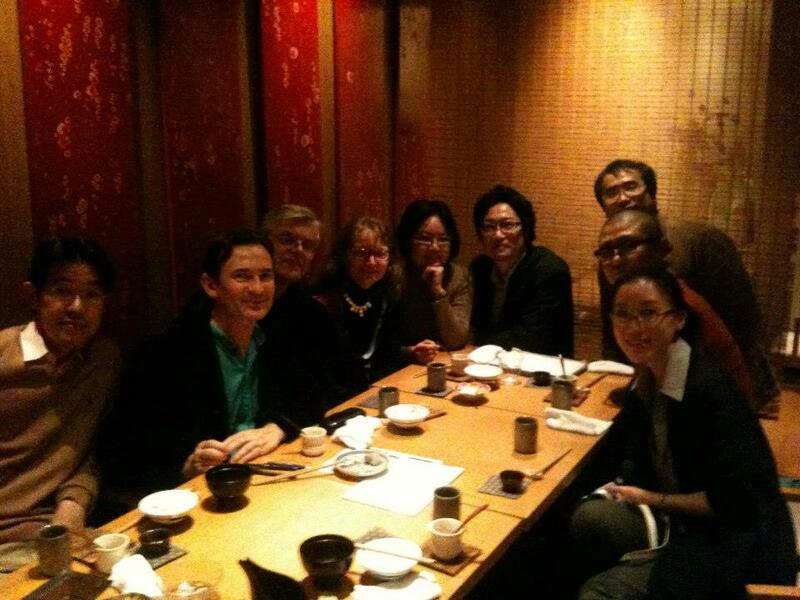 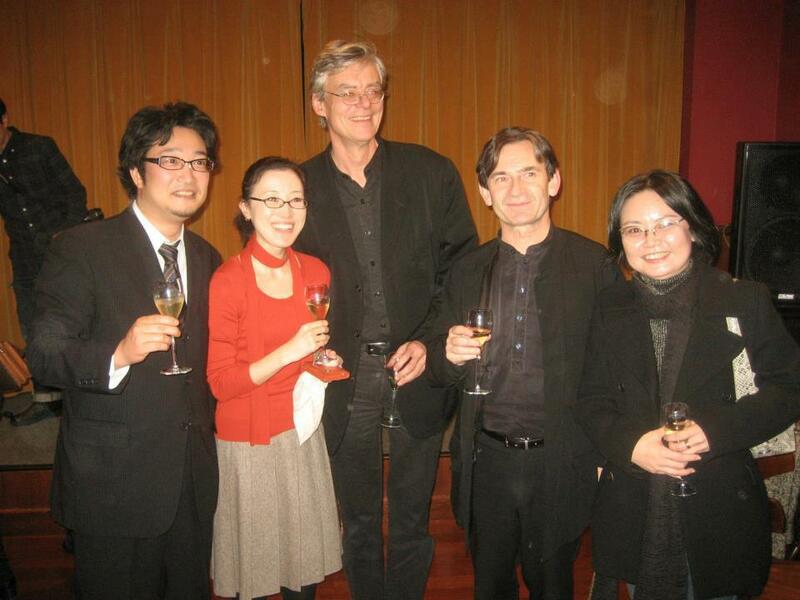 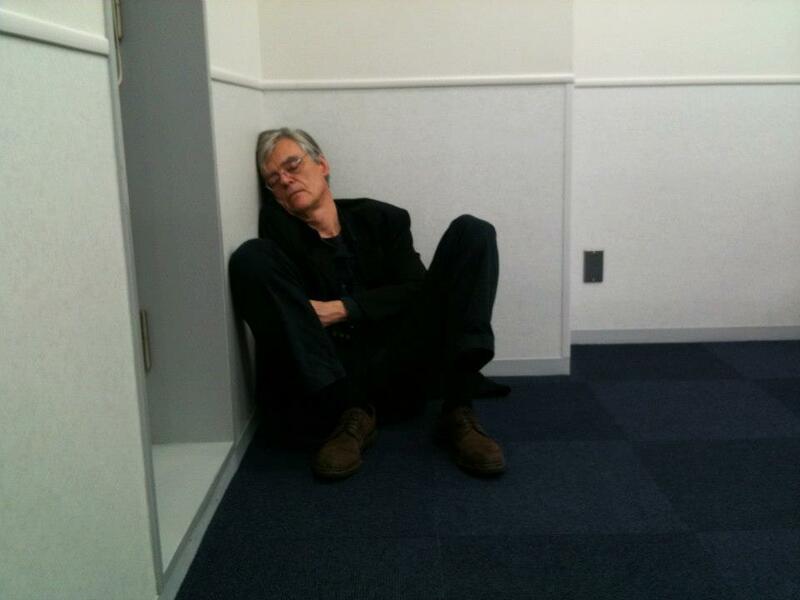 François Schuiten and Benoît Peeters visited several cities in Japan in November 2012 to celebrate the release of the second volume of Obscure Cities albums translated in Japanese. 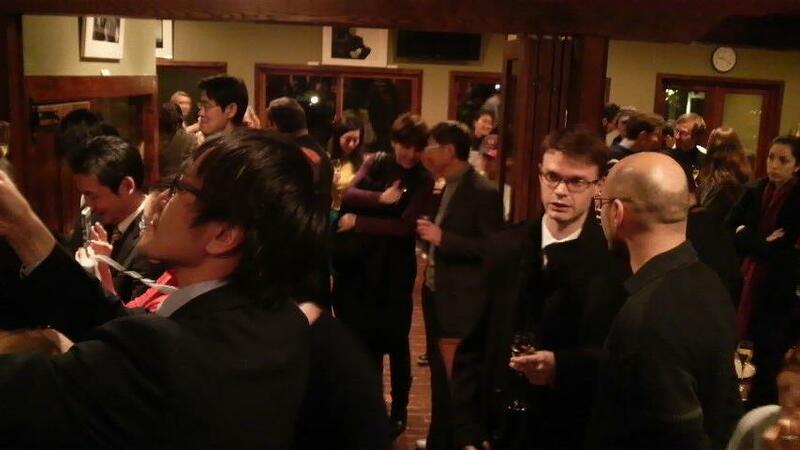 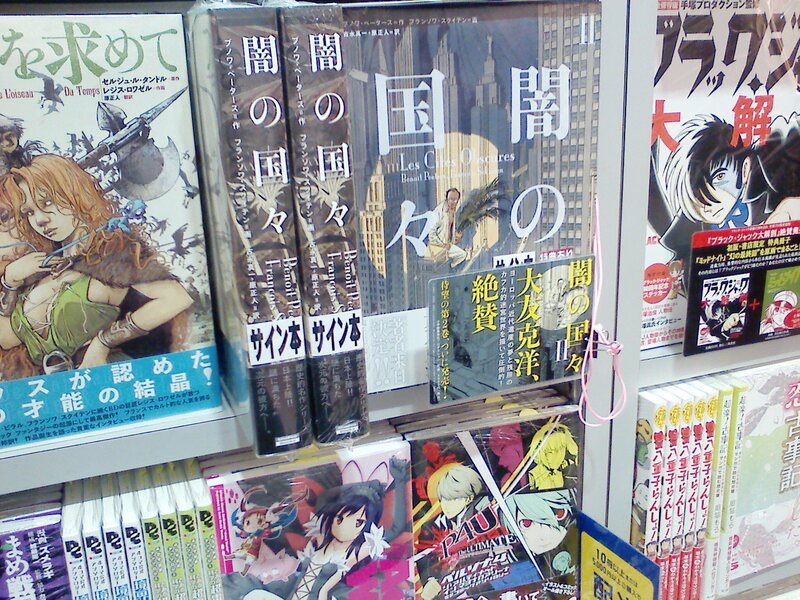 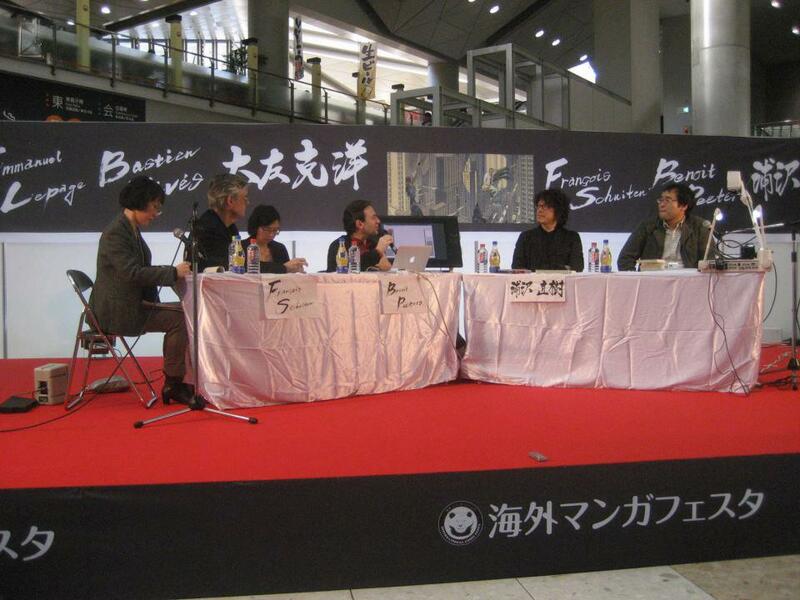 The attended several conferences and met several anime comic artists. 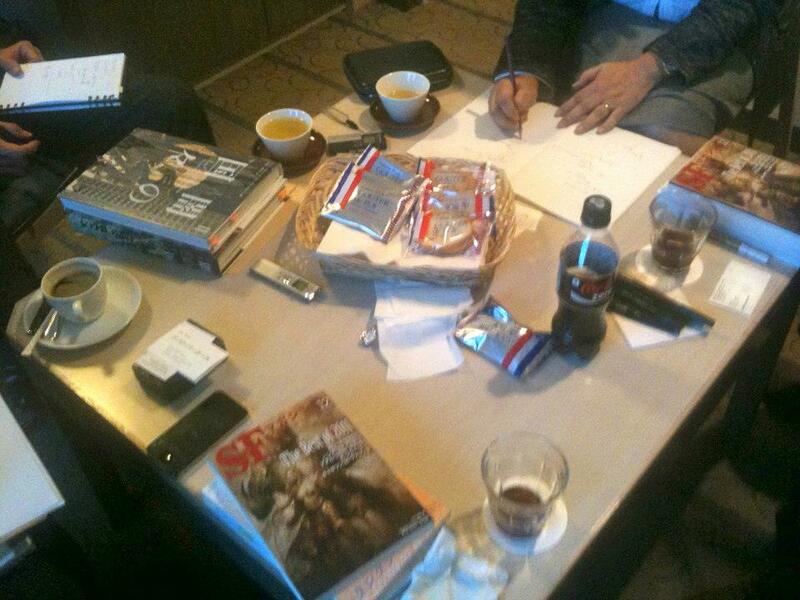 Benoit Peeters published daily images on his facebook account and are used in this summary. 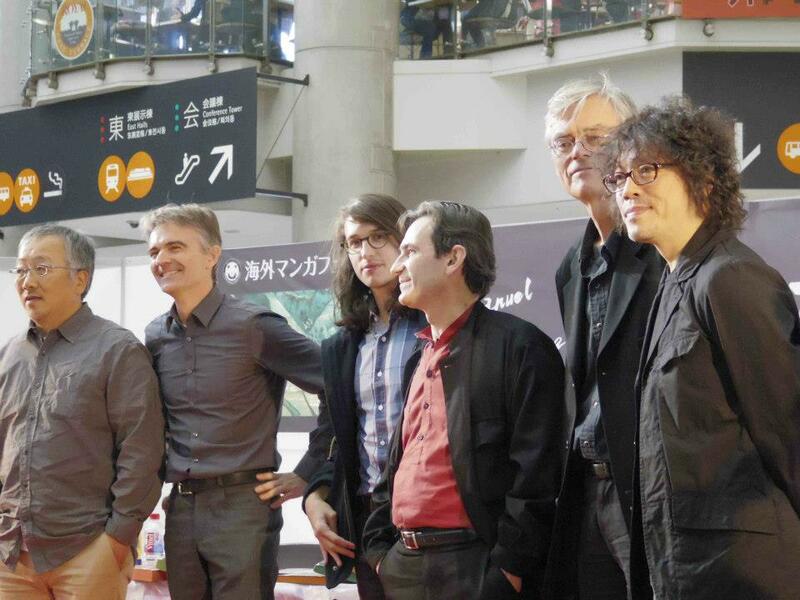 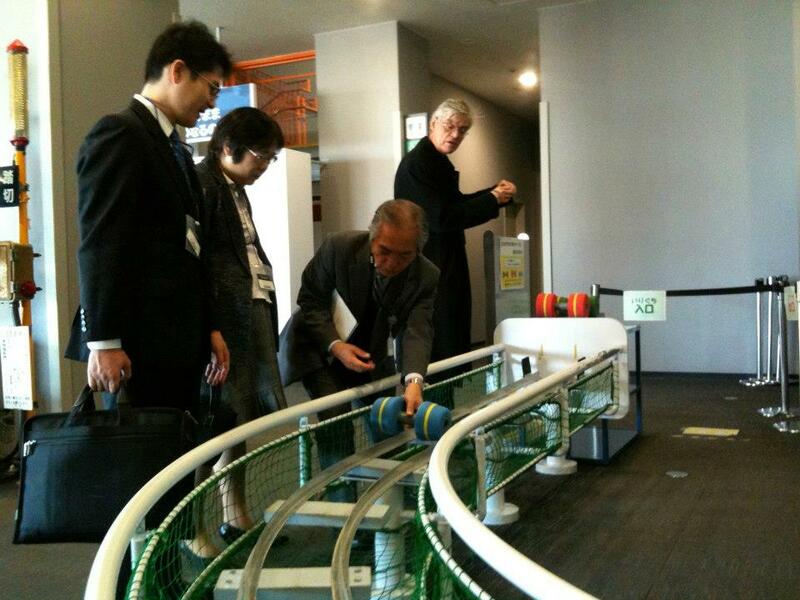 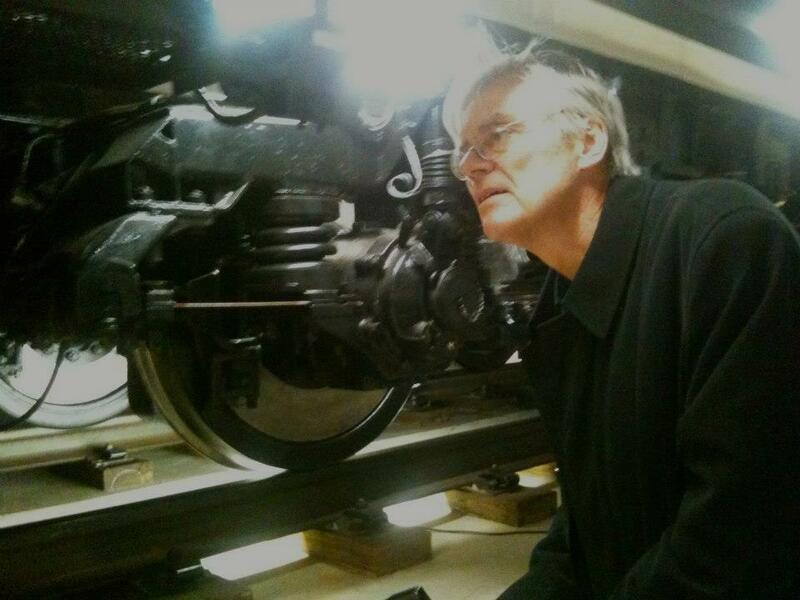 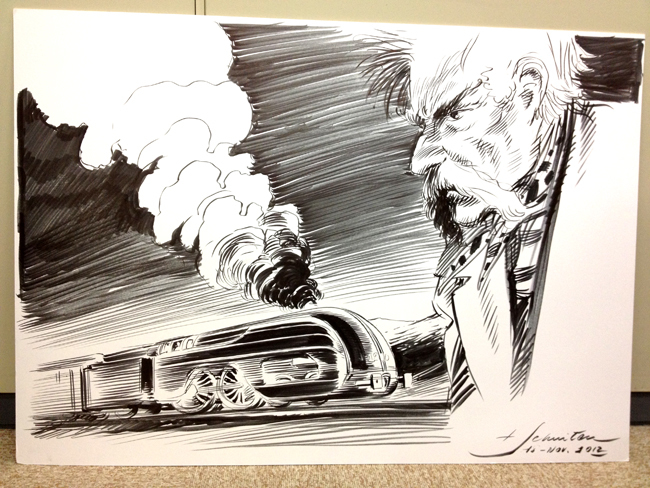 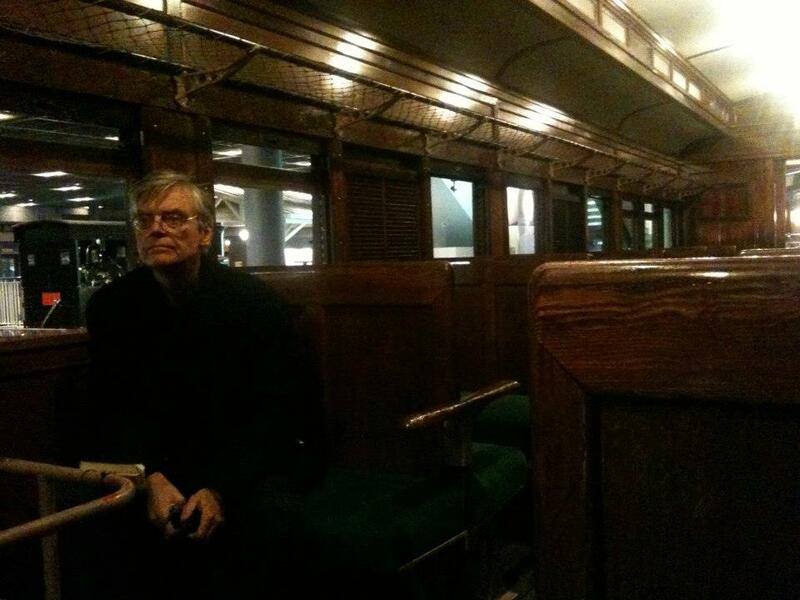 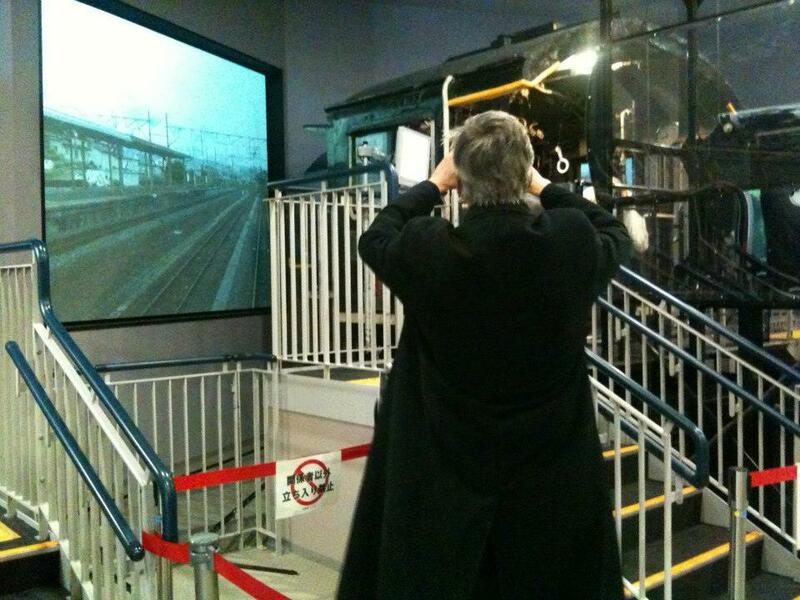 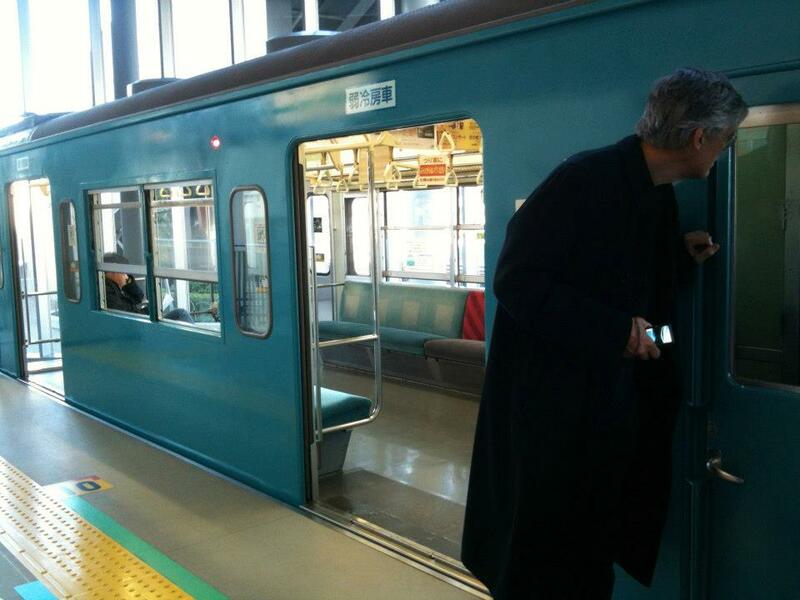 Benoît Peeters and François Schuiten also visited the Japanese Trainmuseum, where François Schuiten could get some ideas for the design of Train World in Schaerbeek that he helps to design. 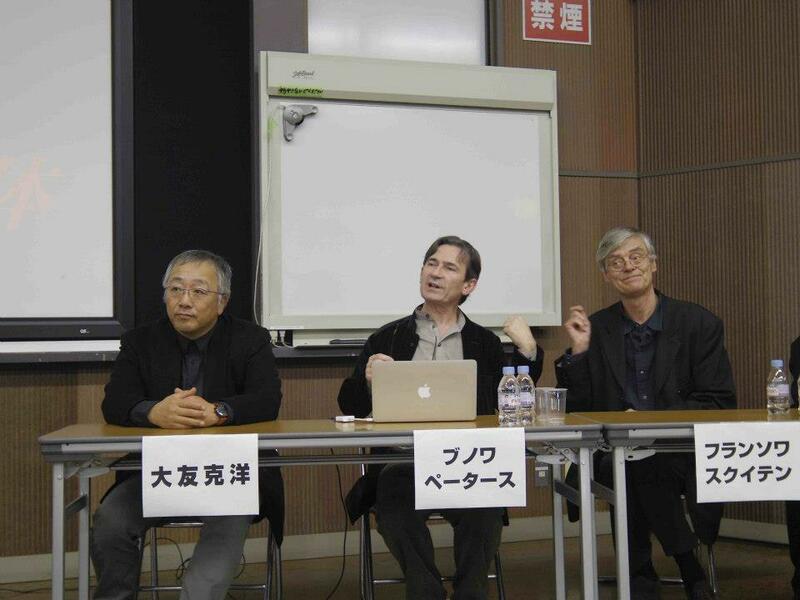 At November 17, there was a conference at the University of Gakushuin, Tokyo about the “perception of the body in comics”. 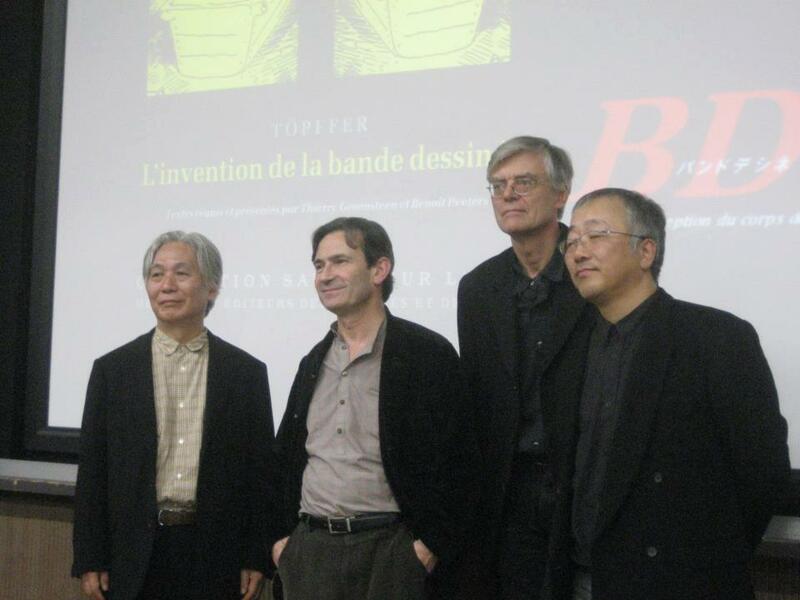 Benoît Peeters held a presentation about Töpffer and François Schuiten, Benoît Peeters and Katsuhiro Otomo had a public discussion together. 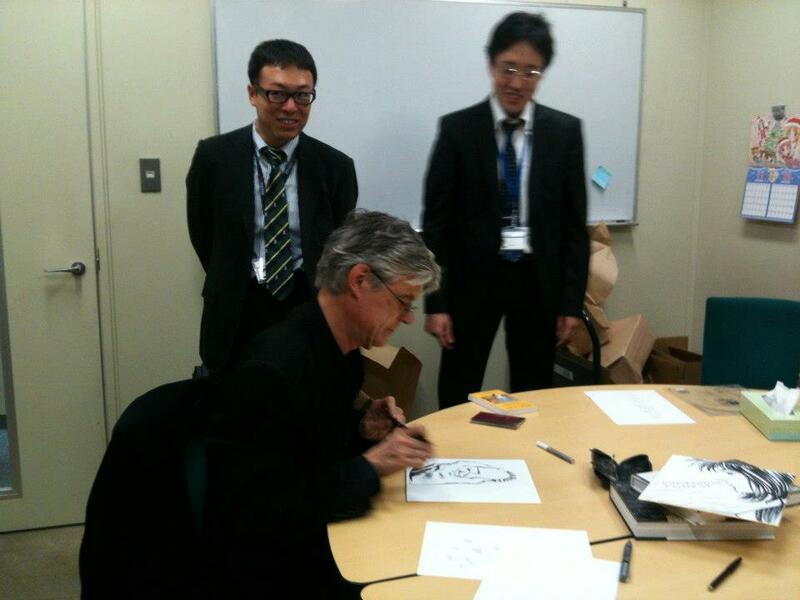 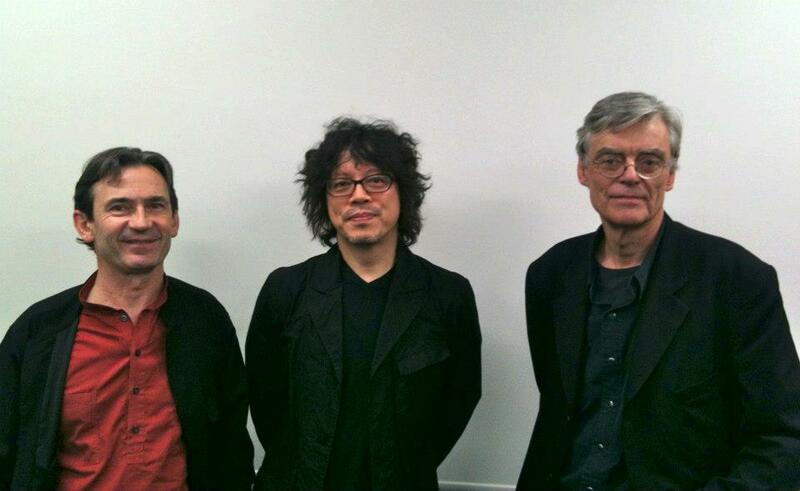 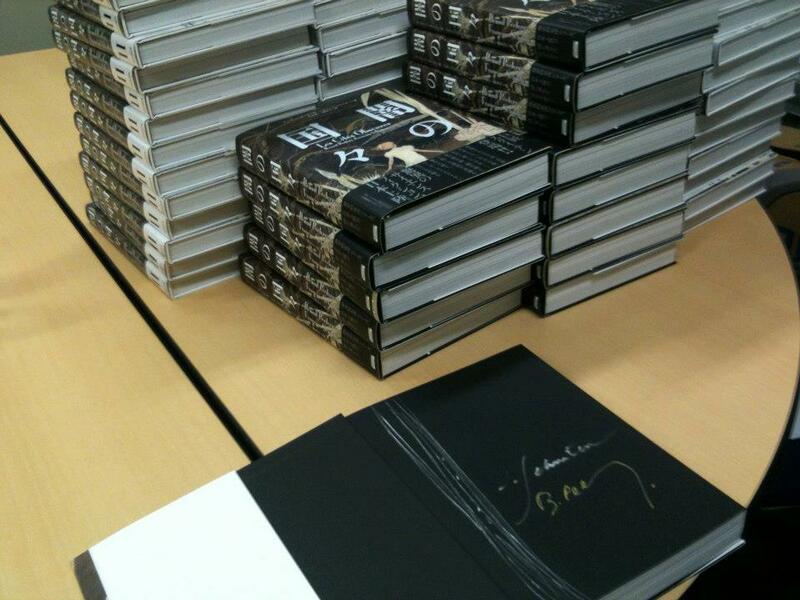 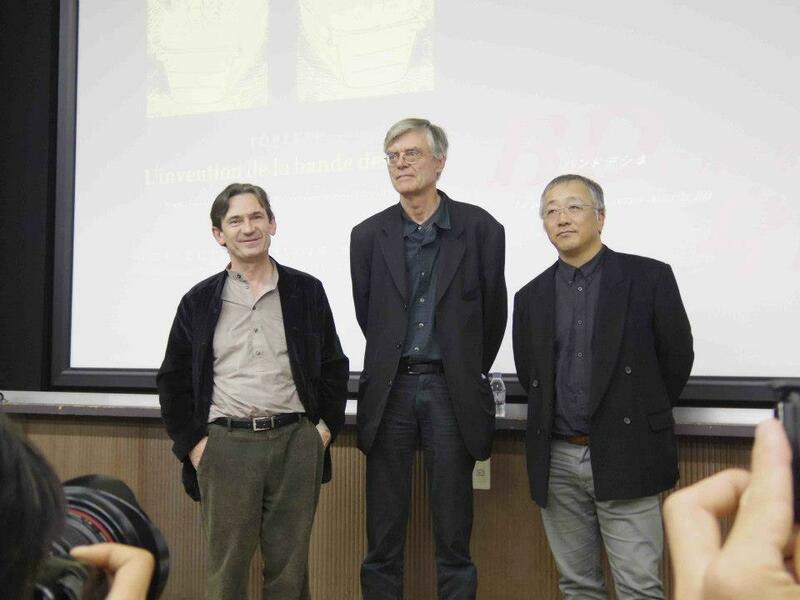 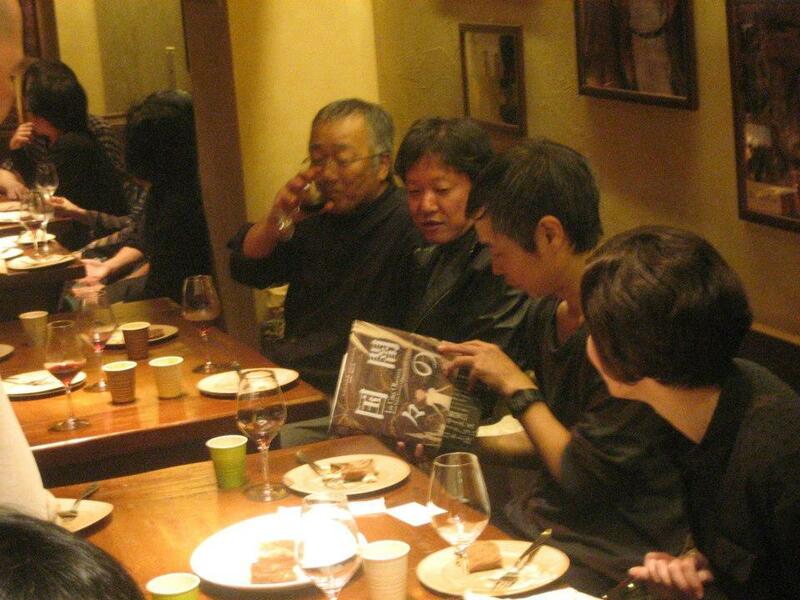 Visit with Katsuhiro Otomo at the University of Gakushuin, Tokyo. 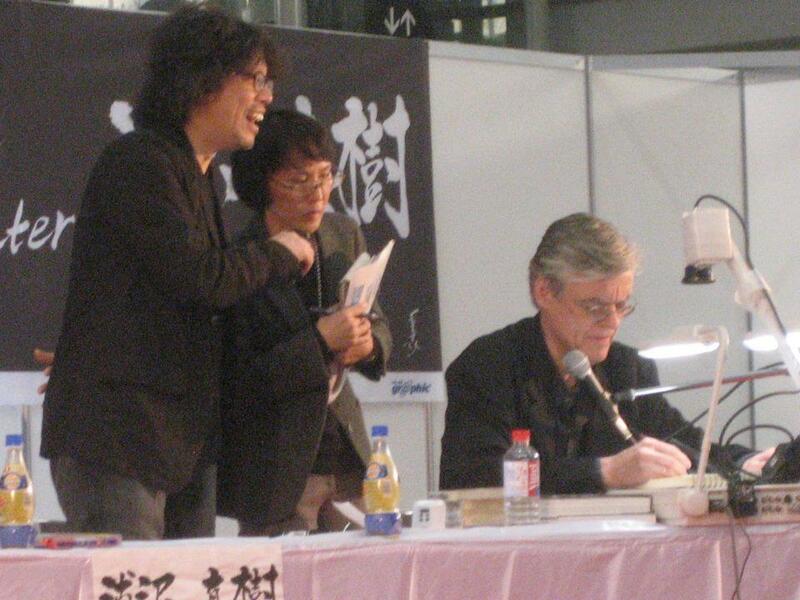 Katsuhiro Otomo is a Japanese manga artist, screenwriter and film director. 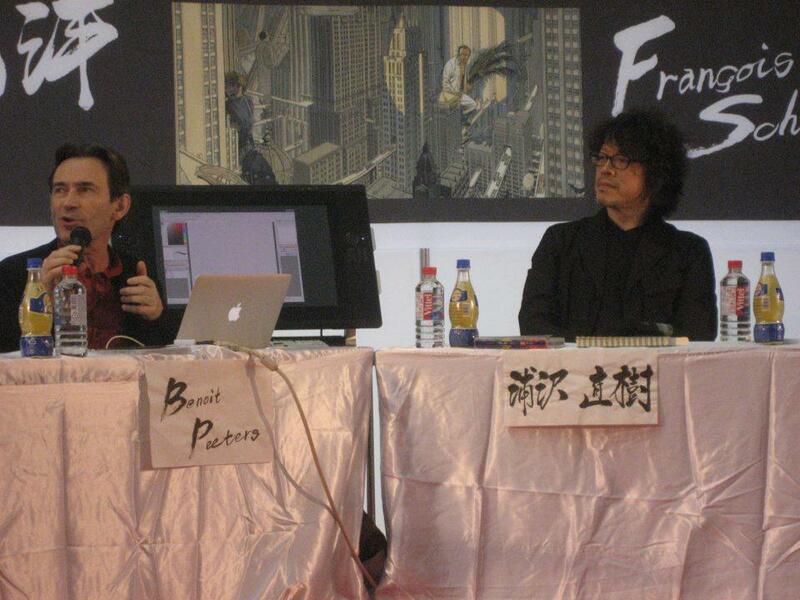 He is best known as the creator of the manga Akira and its animated film adaptation. 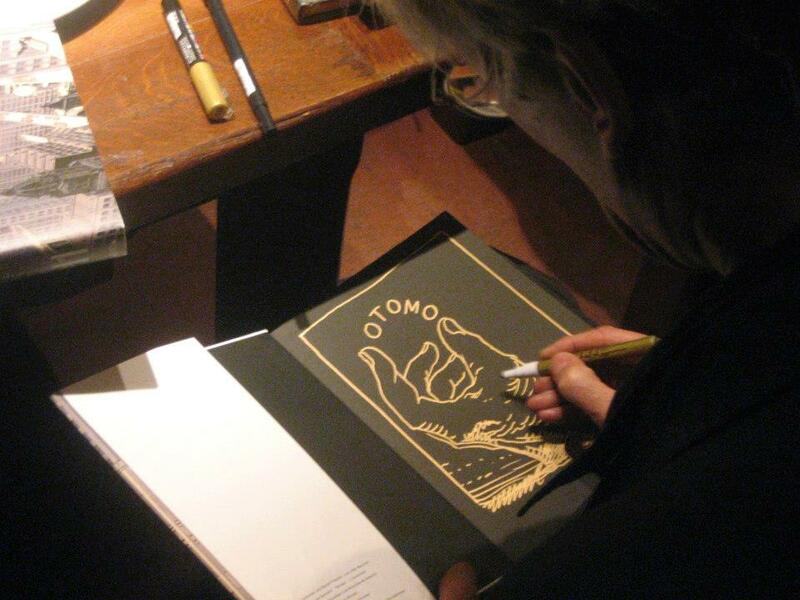 Otomo has also directed several live-action films, such as the 2006 feature film adaptation of the manga Mushishi. 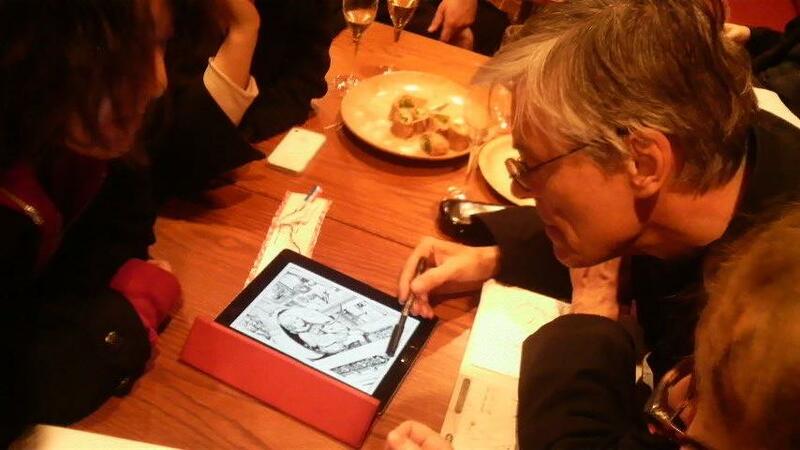 Katsuhiro Otomo used a vehicle in his manga Steamboy that looked liked a Alaxian Velocipede. 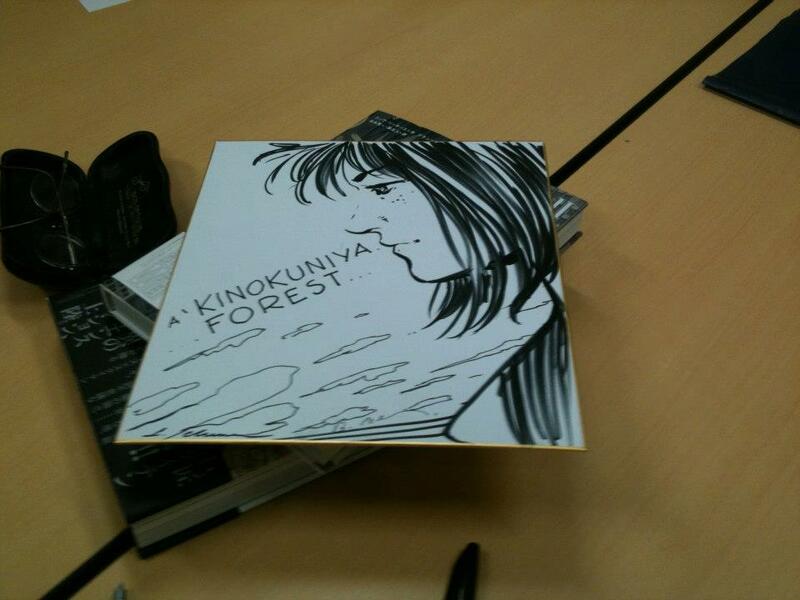 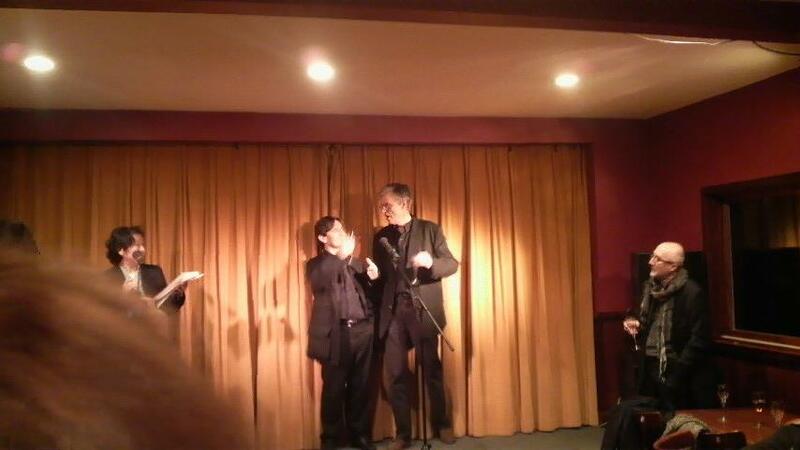 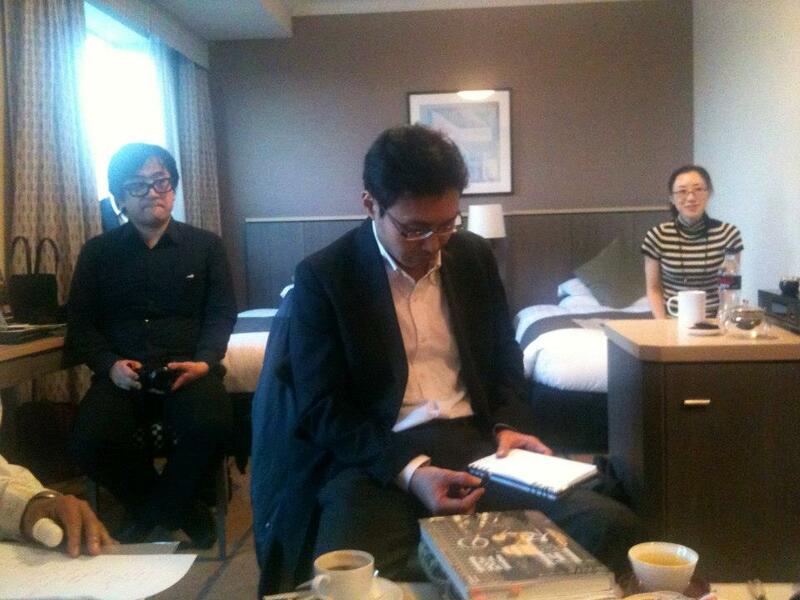 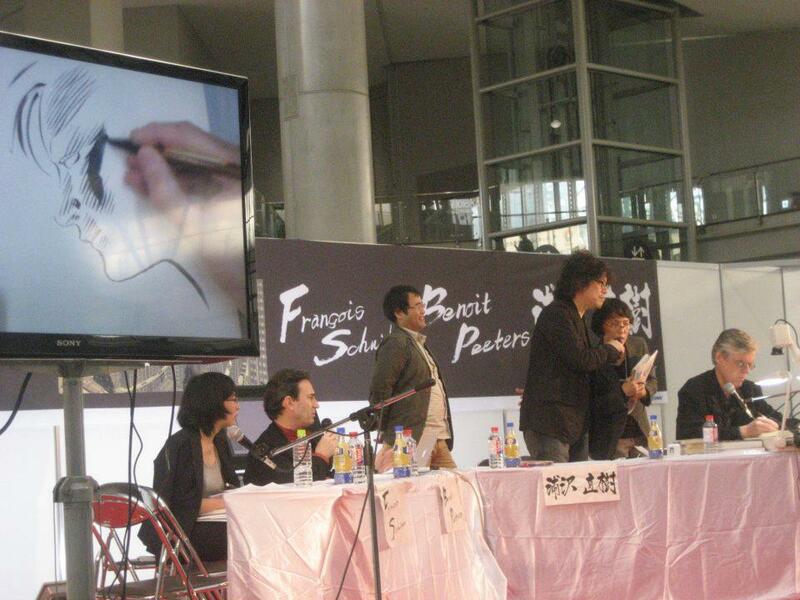 Visit to the first edition of the Kaigai Manga Festa 1) with a lively debat with Naoki Urasawa 2). 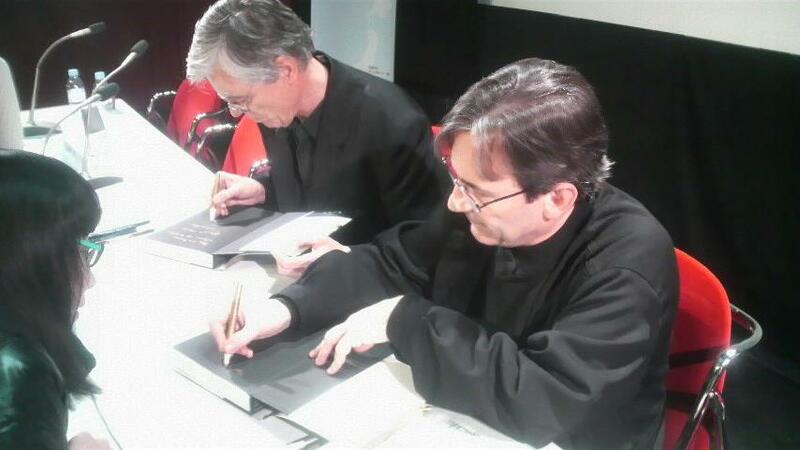 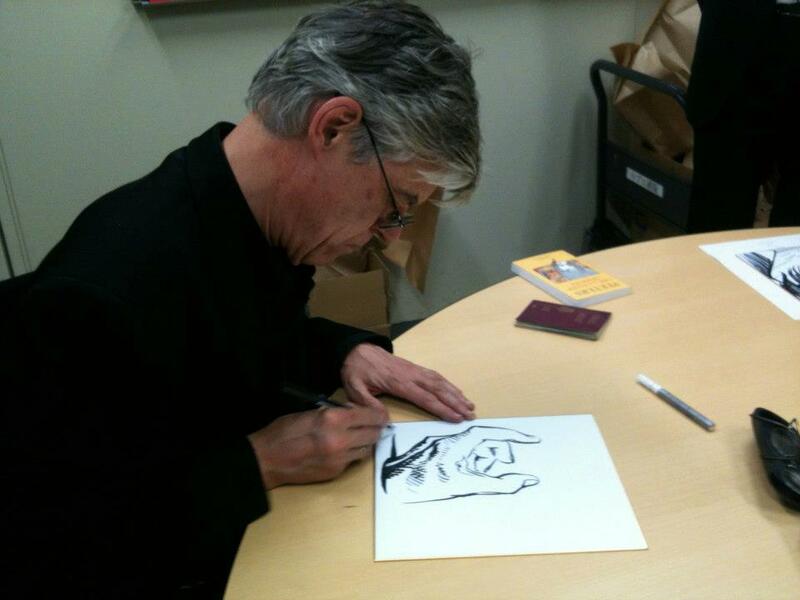 François Schuiten was filmed while making a drawing. 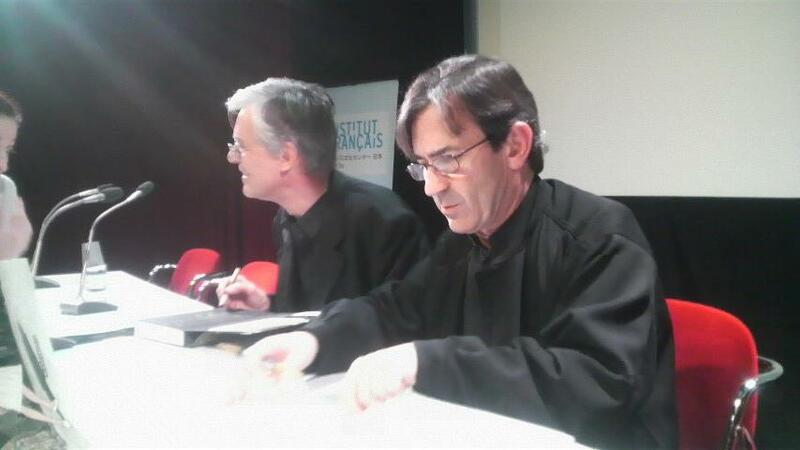 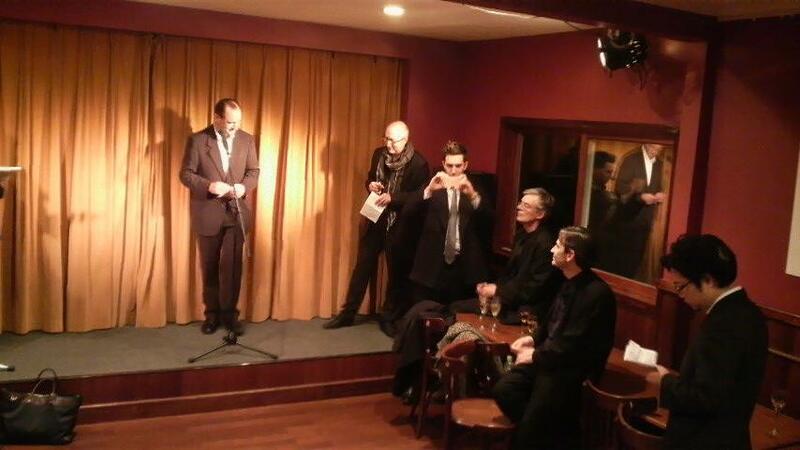 Benoît Peeters gives his comments on the process 3). 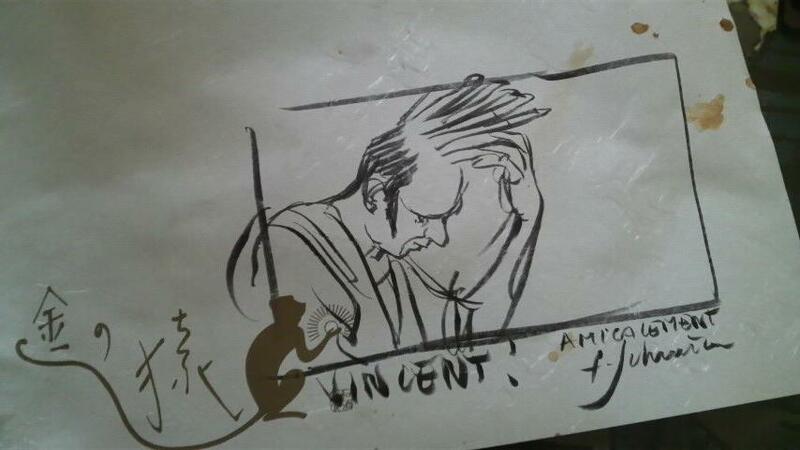 The end result of this session is a very nice drawing of 12.004 and Leon van Bel of the 12 La Douce album. 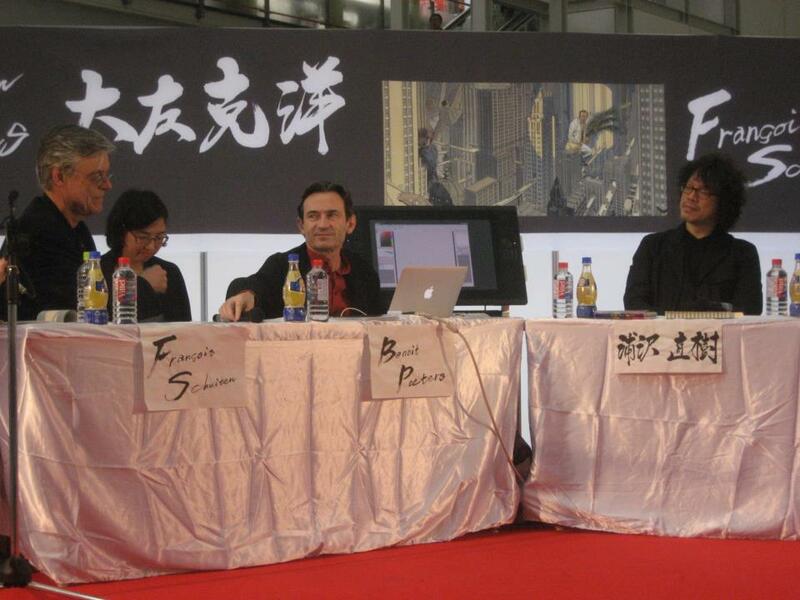 How do we imagine the ideal city? 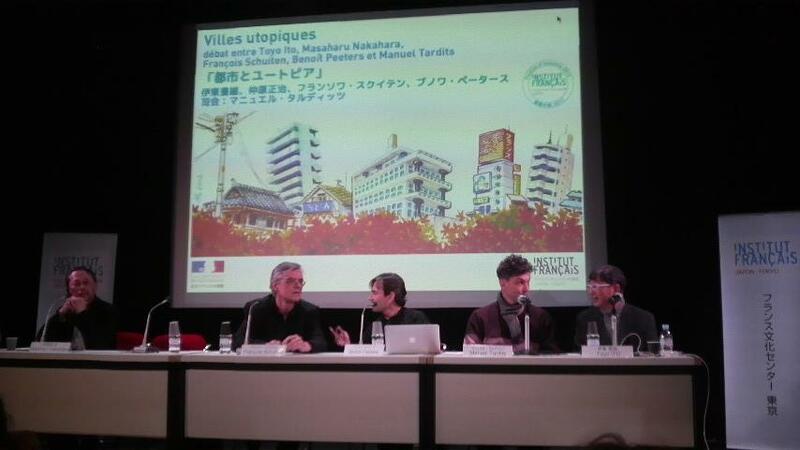 How do we expand the possibilities of the city? 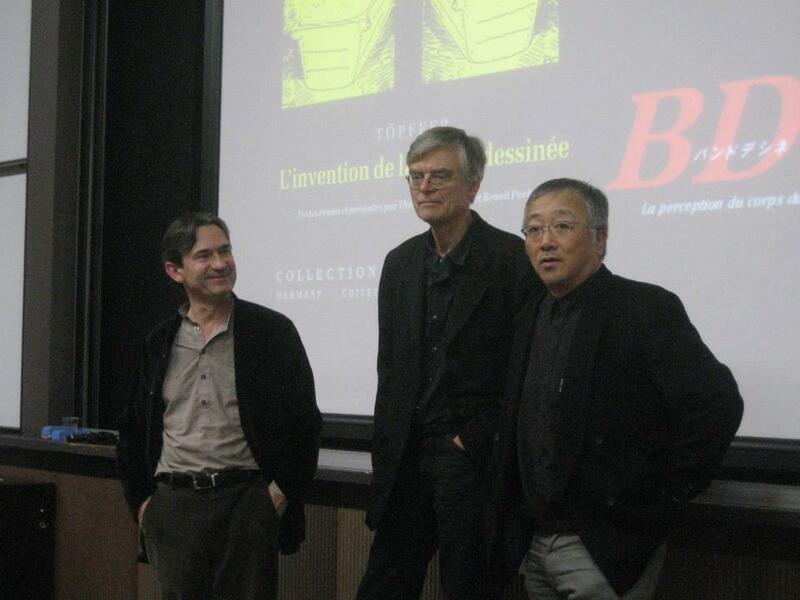 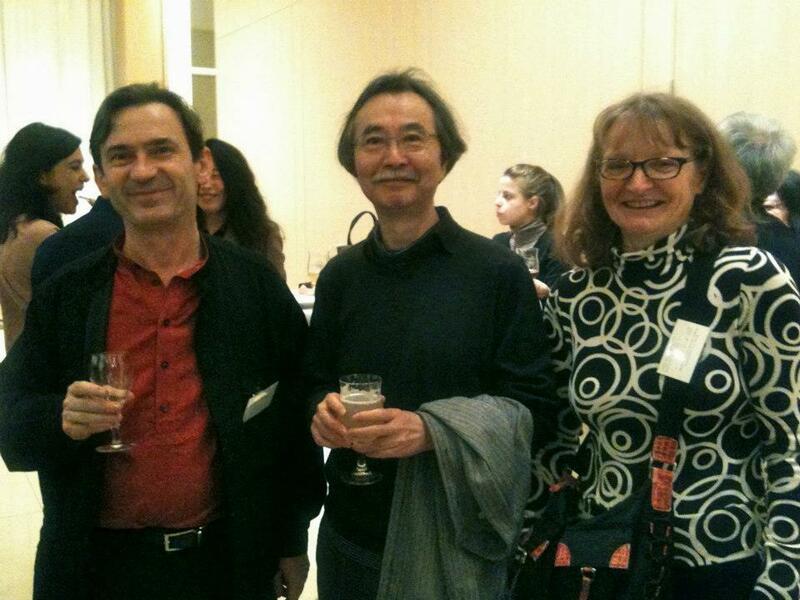 Toyo Ito joins Yokohama urban planner Masaharu Nakahara in a discussion with François Schuiten and Benoît Peeters, authors of the Belgian comic book series “Cities of the Fantastic.” Moderated by architect and author of Tokyo Portraits & Fictions Manuel Tardits 4). 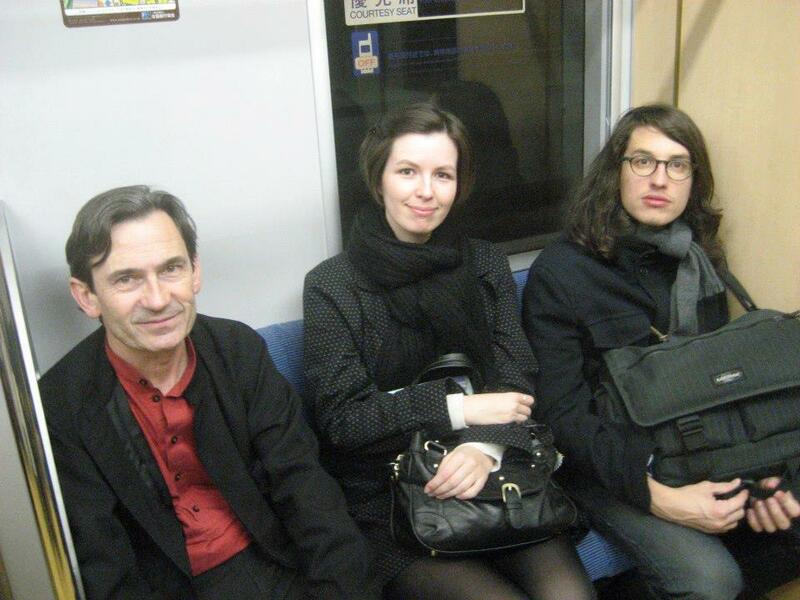 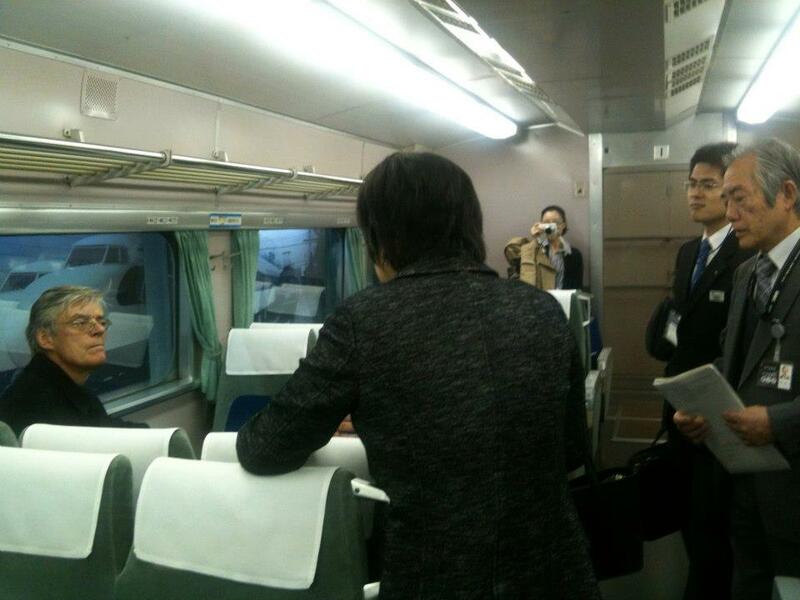 Images of the trip to Fukuoka. 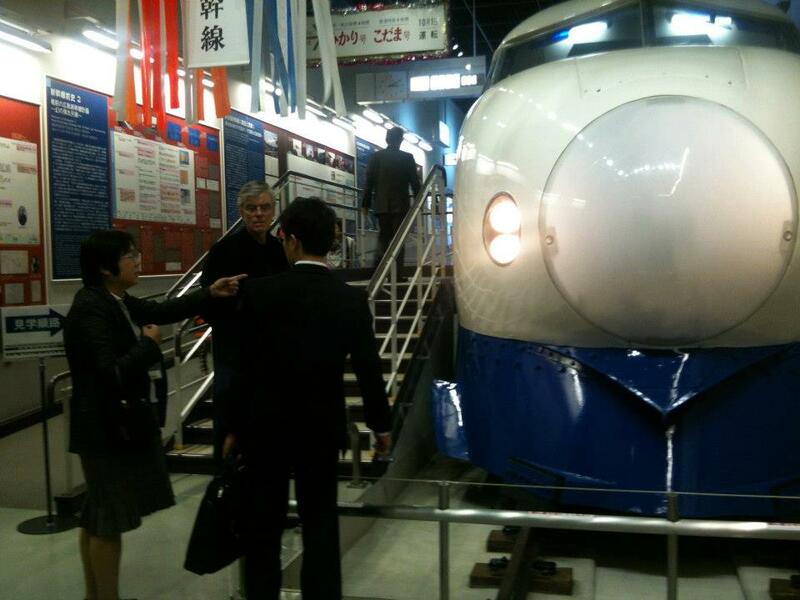 With a visit of the Komijozenji Temple and an exposition of paintings by Dürer, Vermeer and Rembrandt. 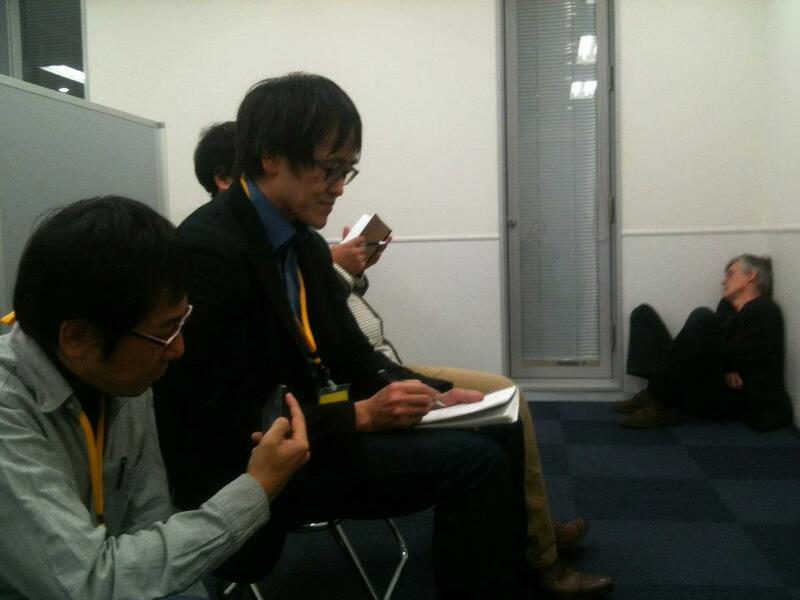 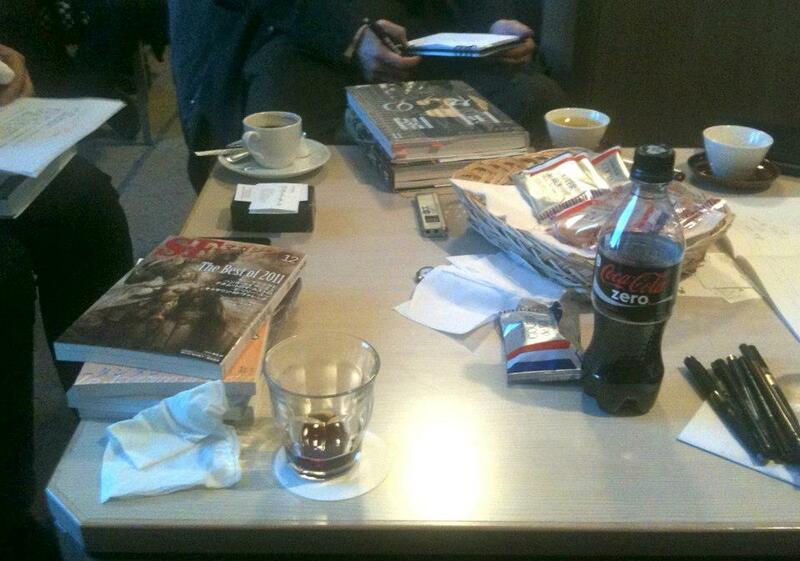 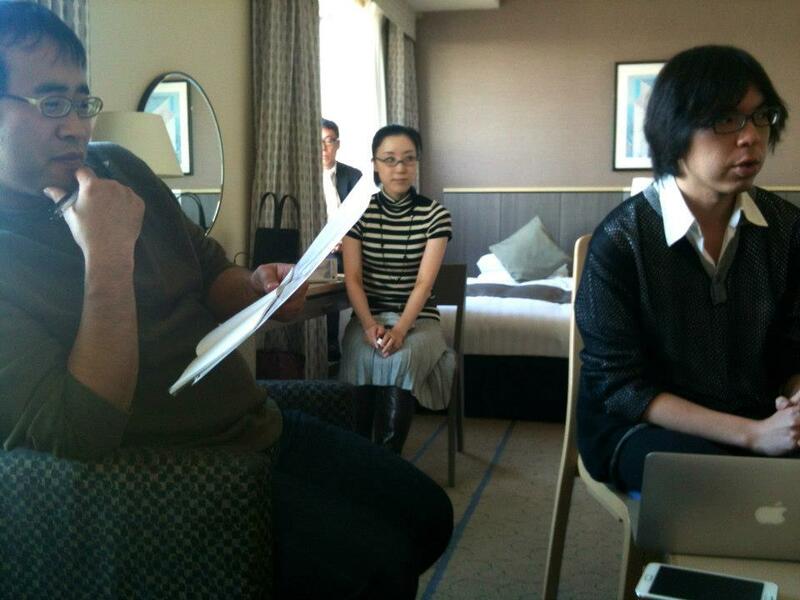 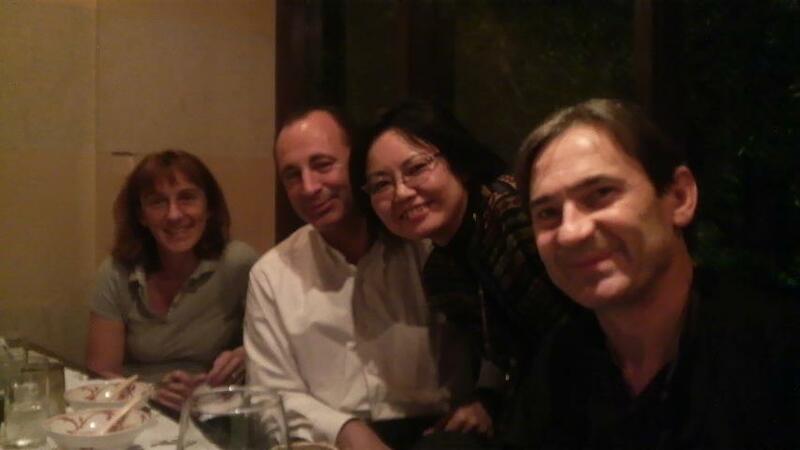 Last interviews with journalists of the magazines “Eureka” and “SF”. 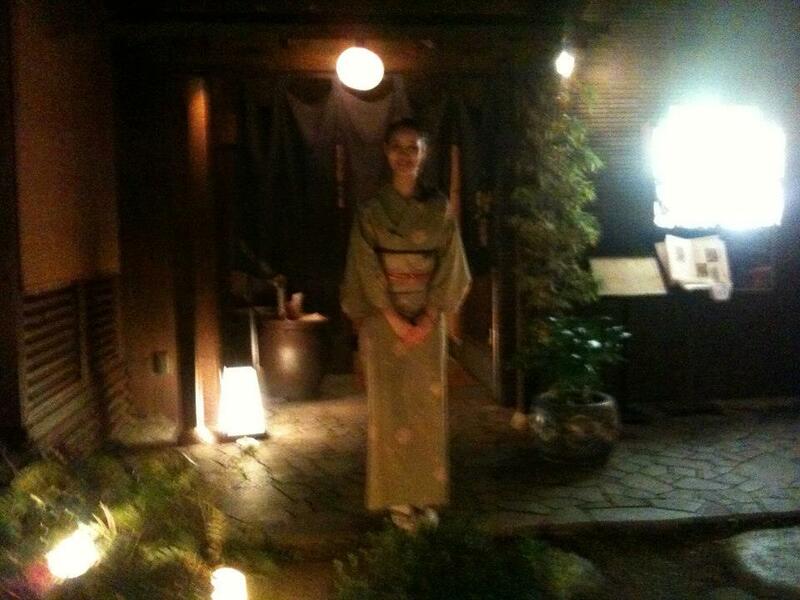 Photos op the last night in Japan.